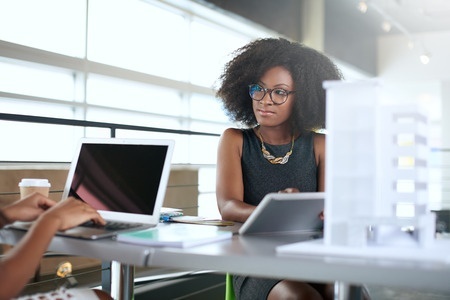 A few years ago, Axia Public Relations made the transition to HubSpot, a developer of inbound marketing software products, and we’ve been tremendously pleased with the results. One of the biggest reasons our team enjoys HubSpot so much? It gives us the ability to manage all our clients’ blogs as well as make updates to various website pages. We like HubSpot’s blog functionality and manageability so much that we think you should start using it too! We listed our top seven reasons we love HubSpot below so you can see why we’re hooked! 1. Ease of use I wish all our clients would move to HubSpot – it’s so easy to use! For blogging, personally and professionally, I’ve used sites like Blogger, WordPress and Xanga before. For someone who grew up using technology, I find them clunky. To me, nothing is as user-friendly as HubSpot. With HubSpot, you’re walking through the blog editing and uploading process as if the blog is already live. You aren’t second-guessing if it’s going to look right once you actually press submit. 2. Editing HubSpot’s blog post editor interface mirrors that of the page and email editors. This is a fantastic asset if you’re already creating pages or emails on HubSpot because you’re working in a familiar space. And, you have a handy toggle button, in the top right, which allows you to directly edit a single blog post when you see an issue, rather than searching through all your blog posts to find the one you want. 3. Analyzing Need to pull a report of your most successful blogs this year? Over the last quarter? Pull a quick report of your blog posts to include views, subscribers and performance. HubSpot offers various filters to help you determine which blog posts are gaining the most leads, which bloggers get the most traffic to their posts and even see how many contacts from one post are now customers. 4. Comments HubSpot offers a comment section for your blog, which you can opt to turn off or on. You can receive notifications about new comments and control what comments you want to publish. Allowing comments encourages your readers (prospective clients) to begin a conversation with you and your company. This feature might be the first contact you have with a future customer. 5. Subscriptions Don’t want to inundate your readers with too many blog alert updates? With HubSpot, you can create blog subscription emails for your readers that are instant (each time you post), daily, weekly and monthly. 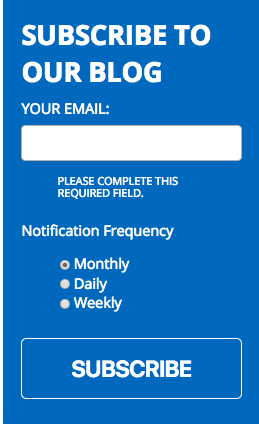 Your readers can opt in to the alert frequency they want when they fill out your blog subscriber form. 6. Search engine optimization Search engine optimization is vital for outranking competitors for the keywords that matter most. HubSpot offers SEO suggestions for individual blog posts. It also offers a content strategy tool that allows you to prioritize the blog topics that actually drive search traffic. You can create personalized calls to action to convert blog visitors into subscribers and leads. 7. Help tools If you aren’t that tech savvy, HubSpot also offers a number of support tools to ensure you feel comfortable using the software. If you aren't using HubSpot to manage your inbound marketing and blogging, you should be. Tour HubSpot's features today to learn more. We think you’ll be just as impressed as we are with the platform.